Did I really find a bug, or did I miss something obvious ? In common with the standard article class, memoir only sets up a full set of size parameters for some of the available sizes. 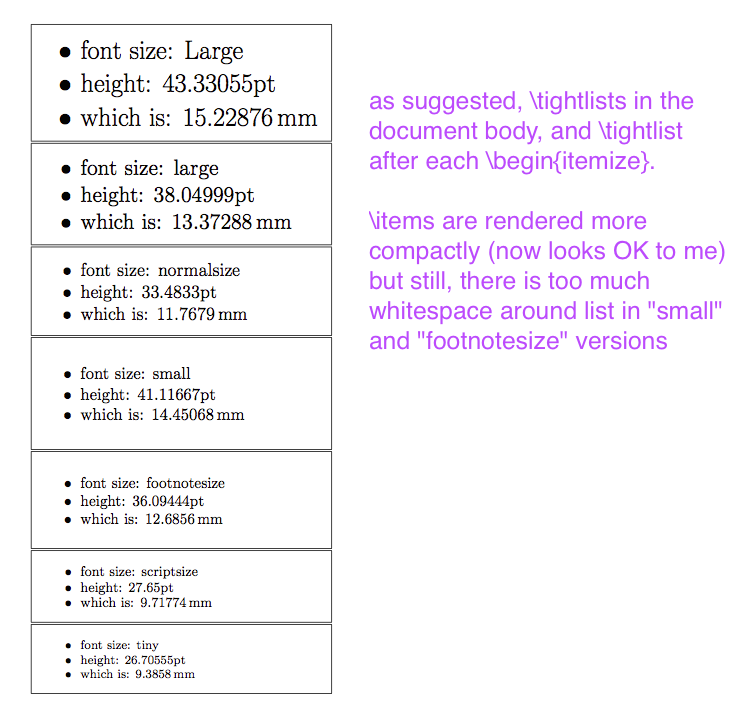 If you switch to \tiny for example the list parameters are not changed so the list gets the prevailing settings, which are the ones for normalsize here as all the changes are in local groups, but if you switch from \footnotesize to \tiny you would get the footnotesize settings in the tiny list. 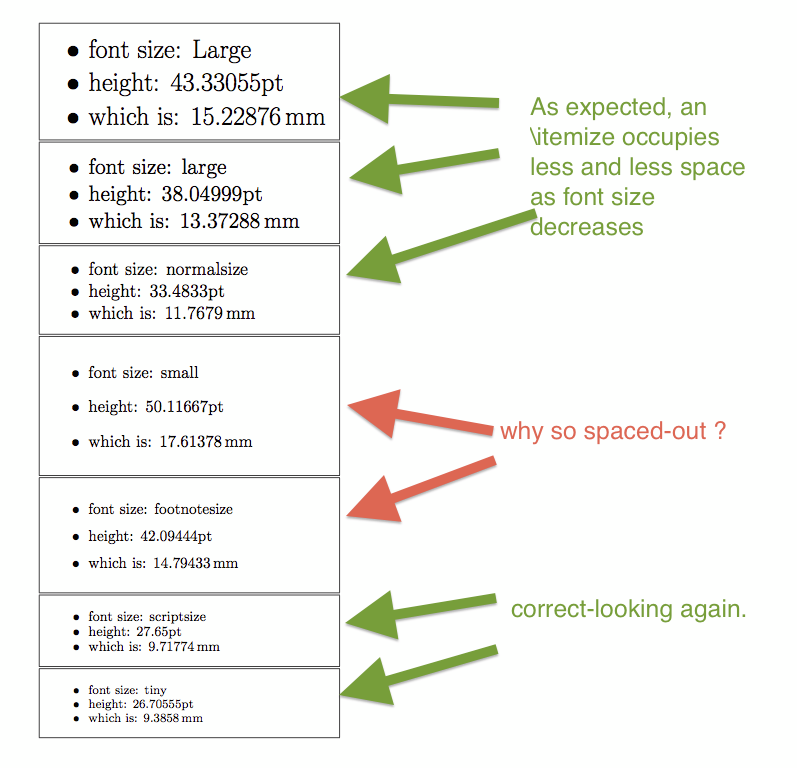 Some aspects are tied to the font size, such as the linespacing and bullet etc, but the spacing between items and before and after lists is not specified at most font changes. The relevant code is copied below, it is the setting (or not) of \@listi for first level lists that is of interest here. So it's expected that some sizes handle lists more completely, however \tightlists compounds the problem by setting list settings to 0pt via setting for example) \itemsepi to 0. This means that the sizes that do not customise lists get the tight spacing, but sizes that do customize lists do not, as they do not use \itemsepi they directly set \itemsep. So I followed daleif's comment, which solved my issue. Thanks daleif ! Not the answer you're looking for? Browse other questions tagged memoir fontsize itemize or ask your own question. 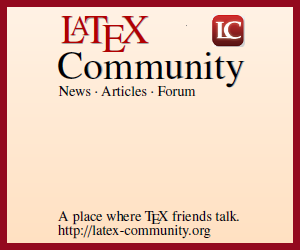 How to Specify Intermediate Font Sizes in Memoir Class?